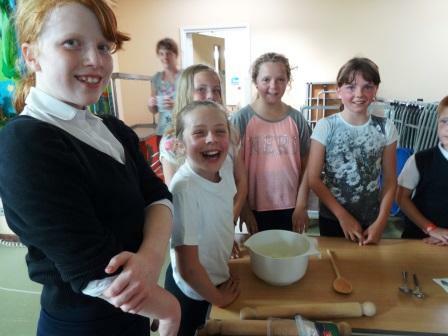 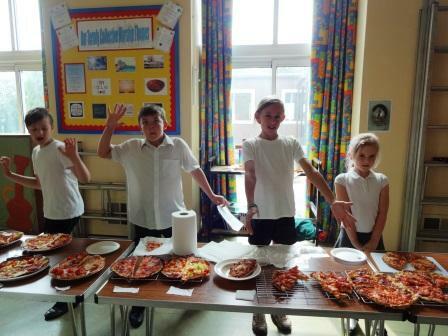 Sharnford School Council cake and pizza sale a yummy success! 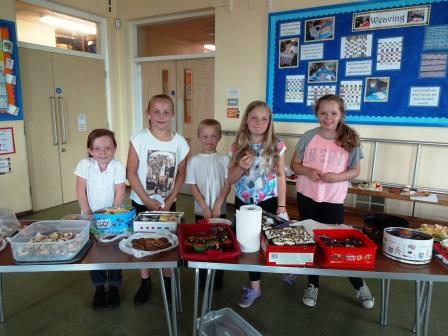 Sharnford School Council had great success with their cake and pizza sale at school today. 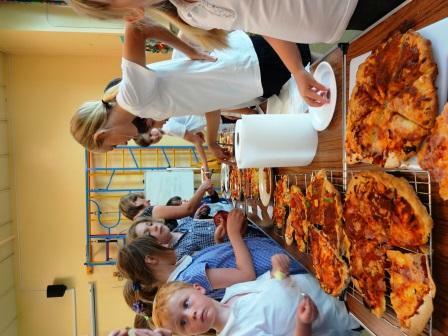 Mrs Kathy Bryan had been feverishly baking pizza all day with every class in order to sell and make money for school equipment. 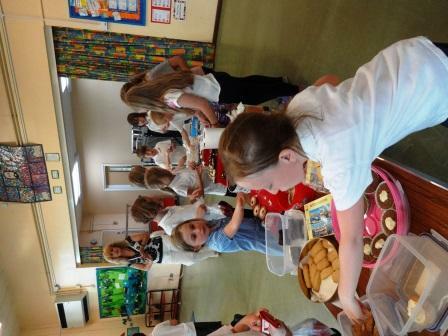 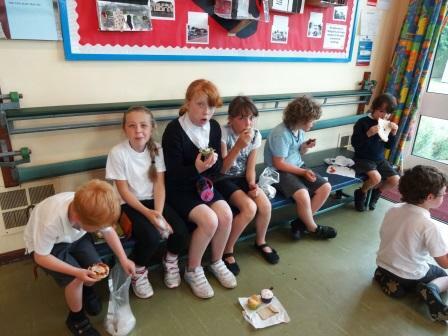 Extra cakes and biscuits had been made by our parents and children - thanks very much - and were sold at the same time. 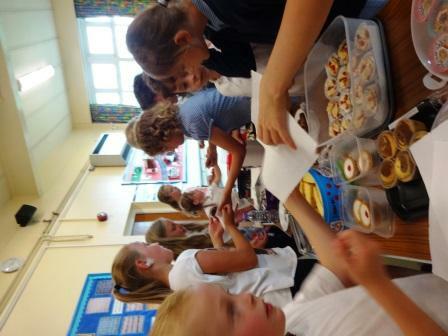 All ingredients had been kindly paid for by the PTA so all profits go towards school equipment. 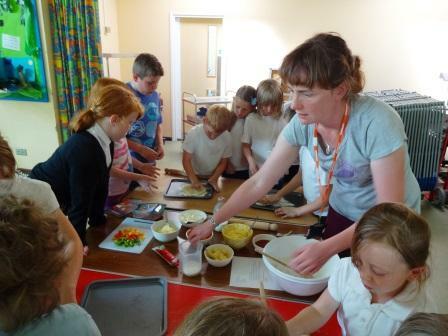 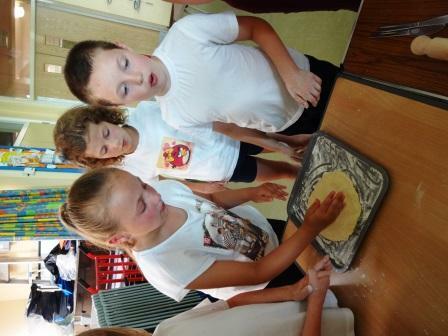 Thanks go to Mrs Kathy Bryan for excellent pizza making skills, the PTA for donating ingredients, our parents for taking time out to cook for us and the children and school council for serving and eating it all!